Today we are in love with...Camile Walala. Born and bread in the UK, this East Londoner is hot stuff in the creative scene at the moment. Or at least I think so, cause everywhere I look around, I found one of her signature pieces. 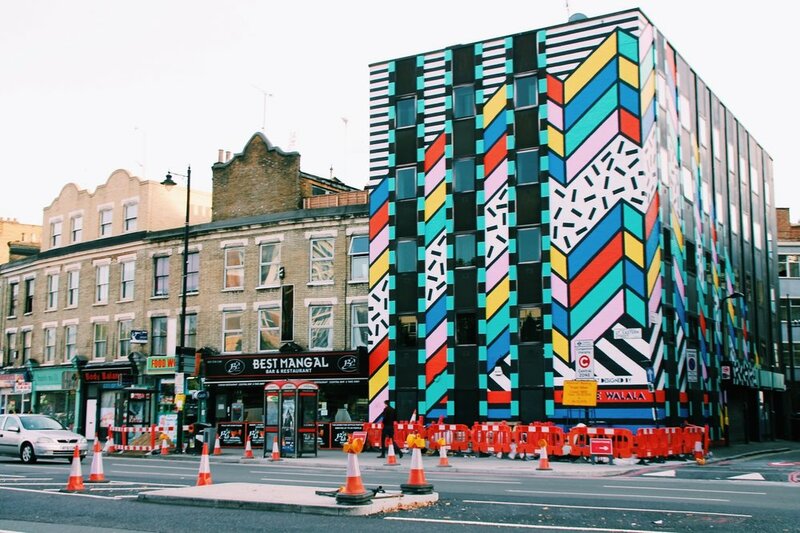 My love for Walala started a couple of years ago, when I first discovered her prints at a building nearby Old St station. WOWZA! I thought to myself. I haven't seen that much colour in London for a very long time at the time. So obvs, first thing I did was to research who did such funky work and Walala's name came up. Since then, and specially most recently, she's had her very-own digital print labyrinth at NOW Gallery in North Greenwhich and has also been part of London's Design Festival with more and more stripes and fun by Exchange in Moorgate/ Liverpool St. Her influences come from a variety of art across the globe, including the Memphis Movement, the Ndebele tribe and Optical Art master Vasarely alongside the simple desire to put a smile on people’s faces, as she cites on her site. To me, her pop style evokes so much energy it definitely puts me in a happy place. 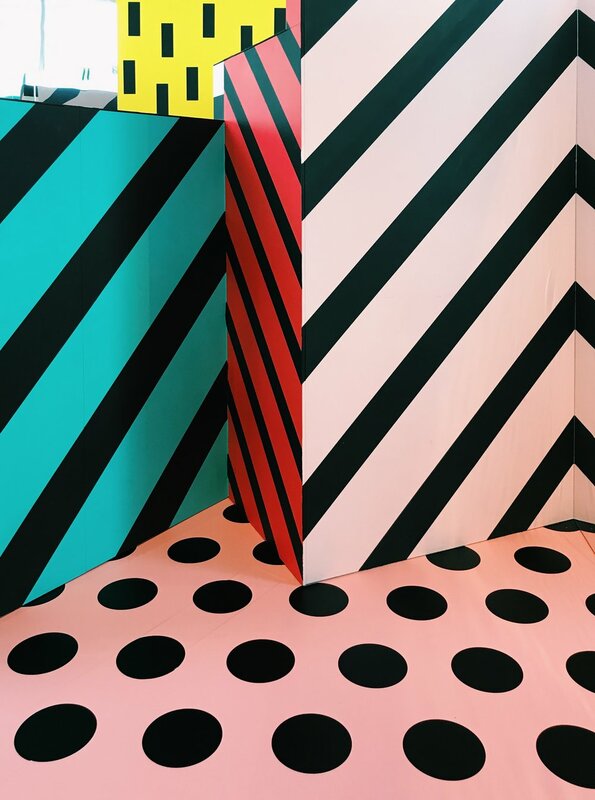 Walala is also branching out and providing us with not only great architecture/ digital print desings but also little snippets of her designs into everydayitems such as phone cases. How KEWWWWL? Have look around, I'm sure you'll find a Walala soon.